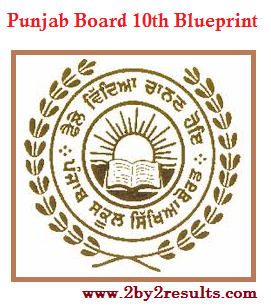 PSEB 10th Class Blueprint - Punjab School Education Board 10th Class Blueprint for all subjects are attached here. Students can download the PSEB 10th Class Compulsory and Elective Papers Subject-wise blueprint here. Punjab Board 10th Class Science Blueprint consist of Number of Questions in each units, Marks allotted to each units, Numbers of Questions to be asked in each questions etc. Students and staff can use below link to download the 10th Class Question Pattern/ Blueprint and make use of them. Students can download all subjects Blueprint by using above link. We request Students and teachers to comment below if there is any discrepancy in downloading Punjab Board 10th Blueprint PDF.